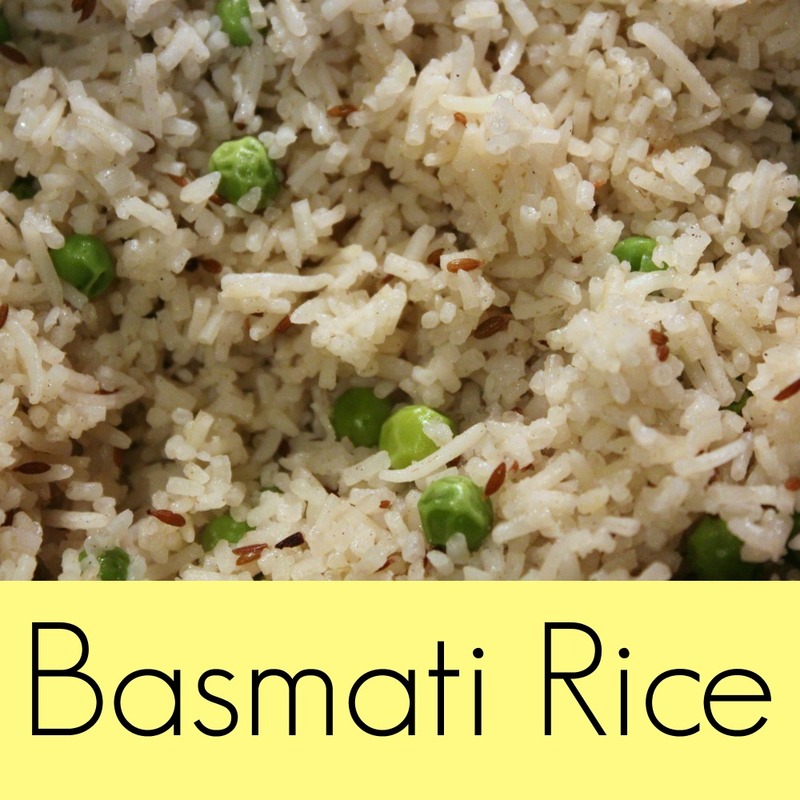 This is my favorite recipe for Indian style Basmati rice. 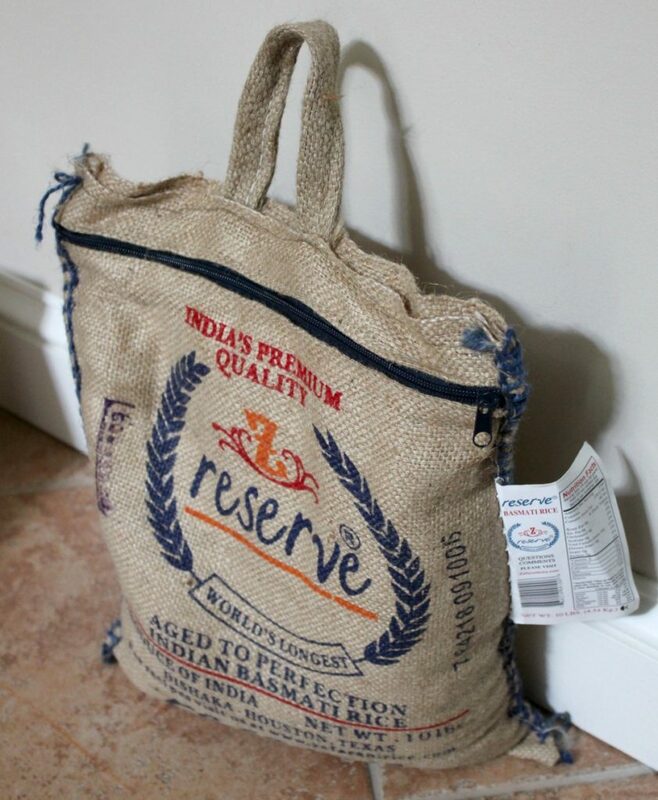 We double the recipe and freeze our leftovers, which go wonderfully with all kinds of Indian dishes, from dal to chana masala (which also freeze well). I freeze in serving-size containers so that I can heat them up for a quick lunch or dinner. 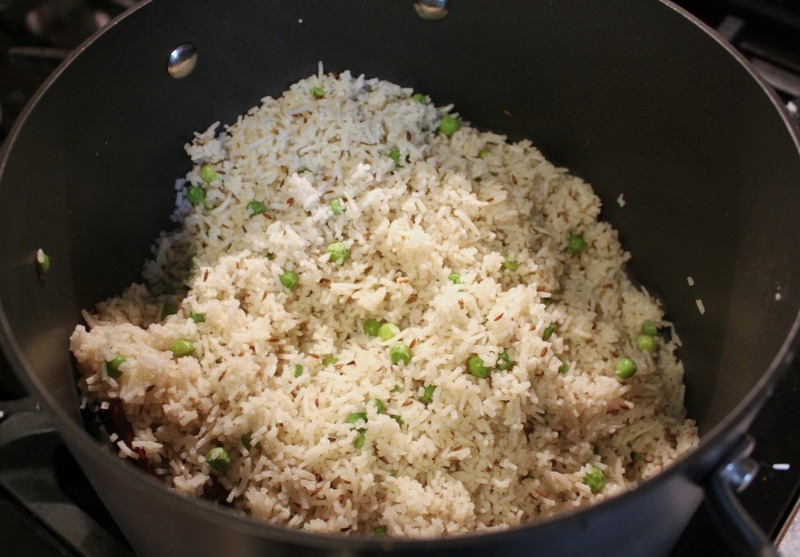 My kids are a big fan of this rice, even eating the peas and cumin seeds, but you can always leave those out if not everyone is a fan. * For double the recipe, use 3.5 cups water. 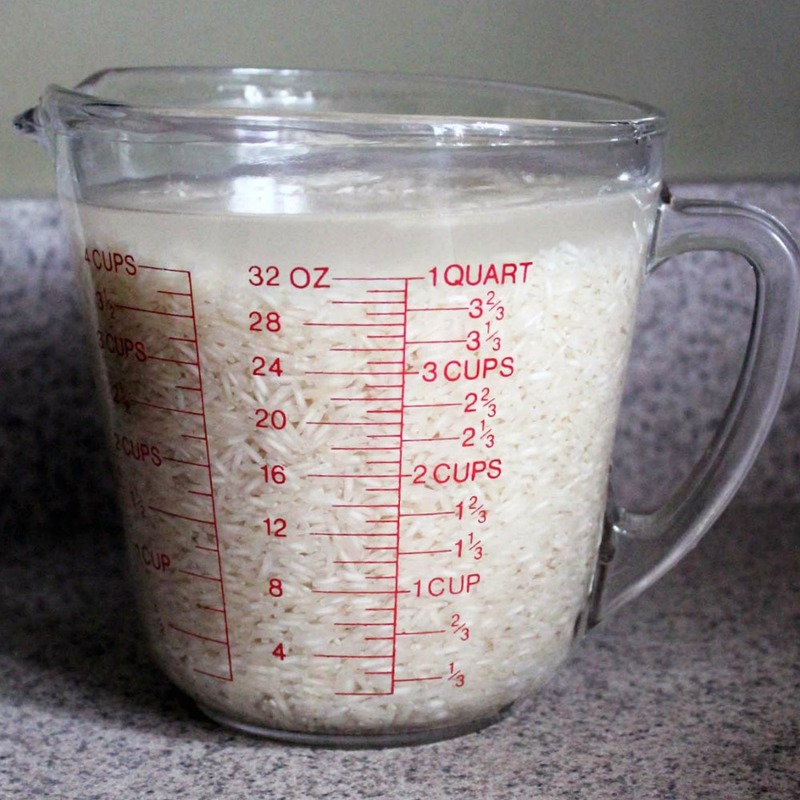 Soak rice in water, for approximately 20 minutes. 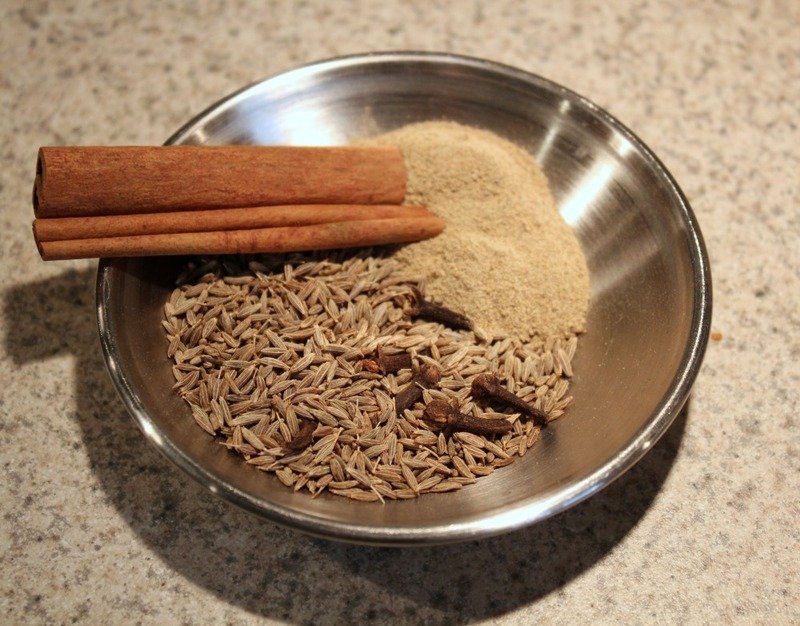 I prepare all my spices at once in a pinch bowl (leaving out the salt). Heat your oil (or in this case, butter), and add your spices. Stir frequently, keeping on medium heat, and be careful not to burn the spices. *You can also saute thinly sliced onions so that they caramelize, during this process. I left them out in this recipe because the kids prefer it without. 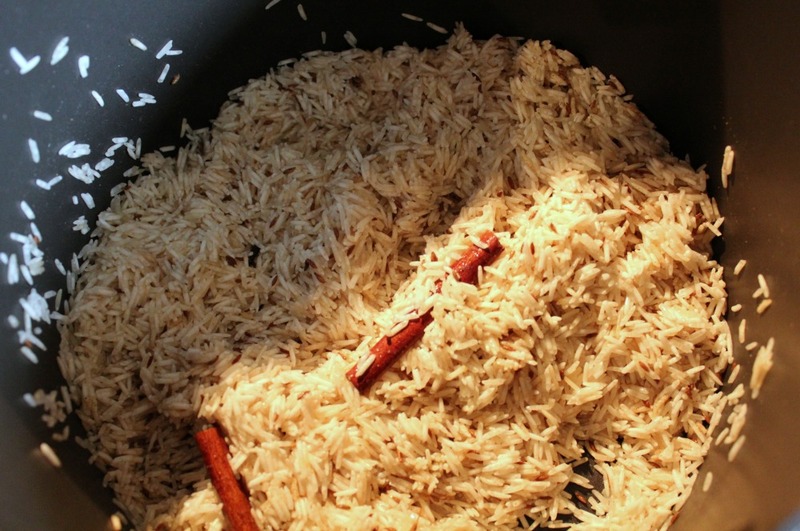 Drain the water from your rice, and add to the drained rice (no water) to the pot. 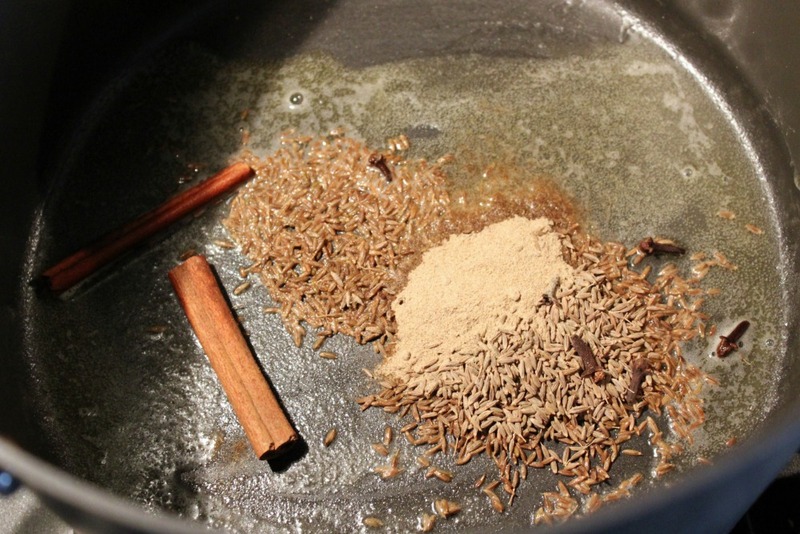 Stir the rice for a few minutes in the oil/spice mixture, until the rice is lightly toasted. Add 2.5 cups of water, as well as your salt and peas, and bring to a boil. 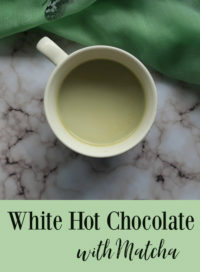 Reduce heat to LOW and simmer for about 15 minutes, until water is absorbed. (Be careful that the temperature is not too high, or it will cook too fast and the rice will not be soft enough and require more water). Allow to stand for 5 minutes, fluff carefully with a fork, and serve! Check out my recipe for Palak Paneer here – another easy, delicious dish!